I realized that I’m so accustomed to getting almost everything accomplished online that I recently found it a hassle to physically go to Pos Laju just to buy stamps over the counter (I checked their website and there’s no online delivery option when it comes to purchasing stamps). The #KinkyBlueFairyTeam’s favourite Friday lunch spot recently launched their online delivery service much to our delight. 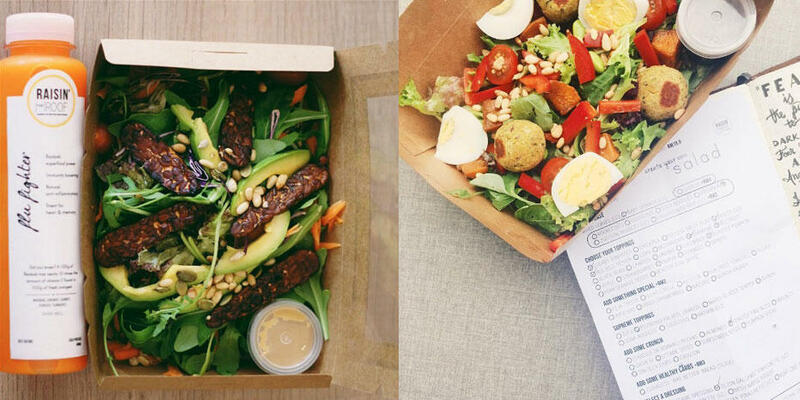 Since our first visit to Goodness Greens Cafe, it was love at first taste. 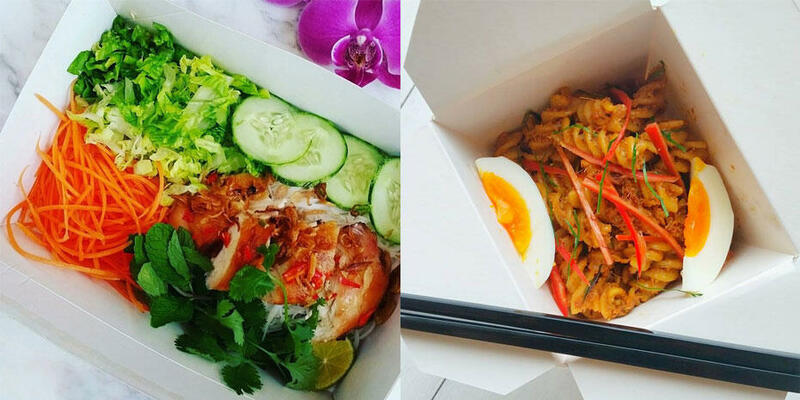 They’ve since added new signature salads to their existing menu – we tried the Tofu Garden Salad, Soba Noodle Salad, Bangkok Salad, Nasi Lemak Wrap and Chicken Wrap. 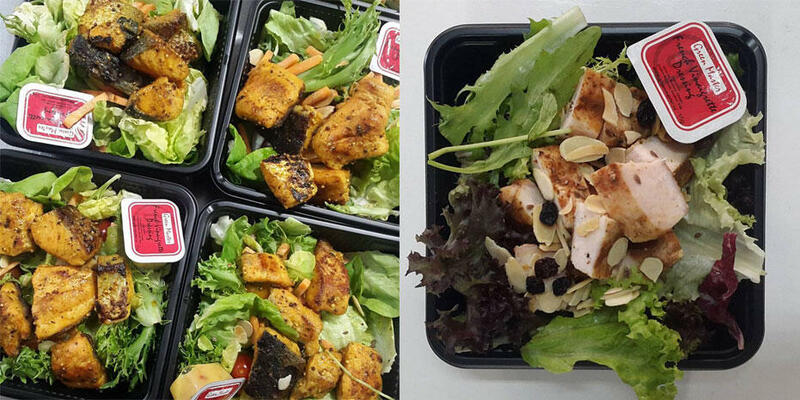 Always a YES to a fantastically healthy lunch affair at the office! A minimum order of RM 15 is required for delivery, available between 11AM – 1PM Mondays to Fridays. Mei is also a crowd favourite with the KBF team (having had so many celebratory meals there – CNY yee sang 2015, Joyce’s birthday, April’s goodbye lunch). Sister to Fat Spoon Cafe, Mei by Fat Spoon serves Japanese-inspired comfort food. Think Poke Bowls and Onigiris. So far, I think they serve the best Japanese Poke Bowls in town. King/Faridah and I ordered from their #MeiDelivery website one afternoon and our meals arrived nice and warm, exactly how it is when we dine-in. Founders Cheryl and Christina found themselves struggling to find an affordable healthy meal back in 2014, so they started making meals at home for fun and soon grew their business faster than they expected. 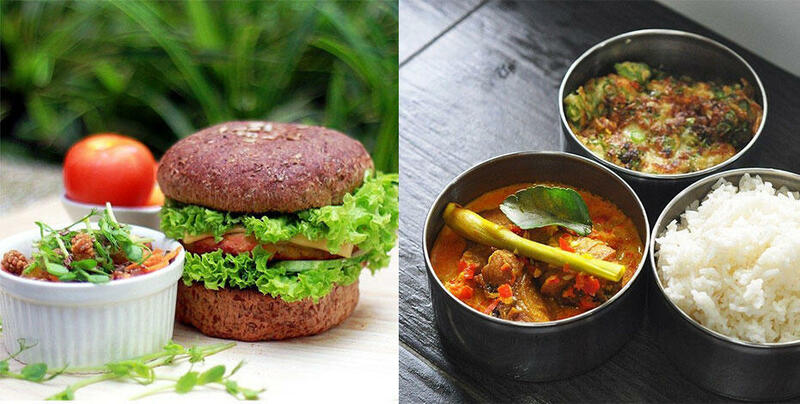 They hope their meals would help Malaysians keep a balanced diet with the belief that achieving balance is the key to life- you don’t have to go on a guilt trip every time you indulge in cake or french fries. 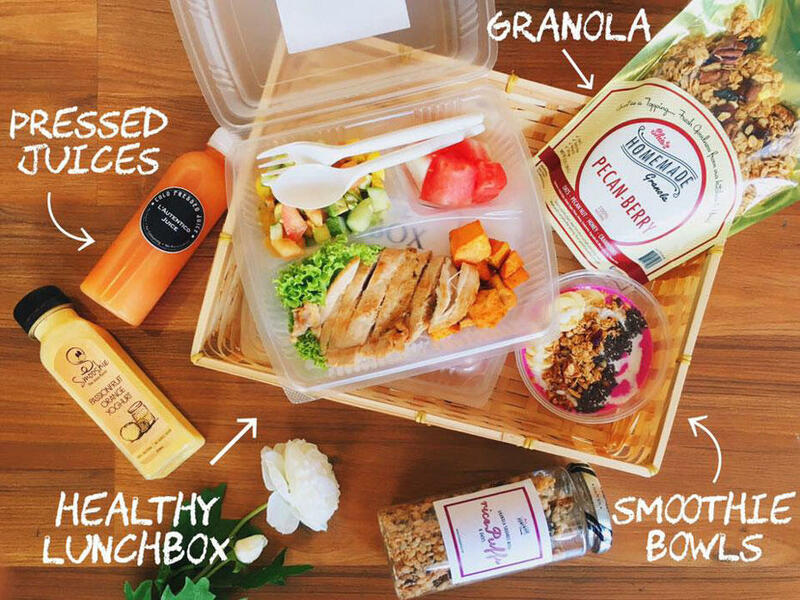 The Naked Lunchbox currently delivers to all Petaling Jaya addresses and a handful of Kuala Lumpur City Center and Selangor addresses. Standard delivery charges for PJ area is RM 8 (for orders below RM 40) and RM 15 for KL/Selangor areas (for orders below RM 40). Dah Makan started with a crazy foodie (Jess) and techies (Jon and Chris) who are passionate about how simple it should be to eat delicious food everyday. 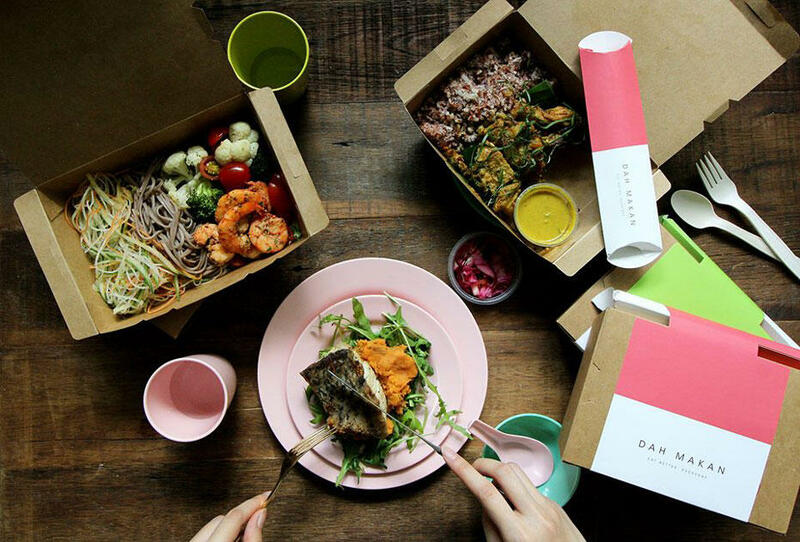 Dah Makan curates healthy MSG-free gourmet lunches and dinners, crafted with the freshest ingredients made with a lot of love, delivered straight to your door. Executive Chef Shamsul Hashim, who previously worked at the Sheraton and Hilton, is leading their kitchen. Currently, Dah Makan offers free delivery only in Kuala Lumpur and there is no minimum order value! 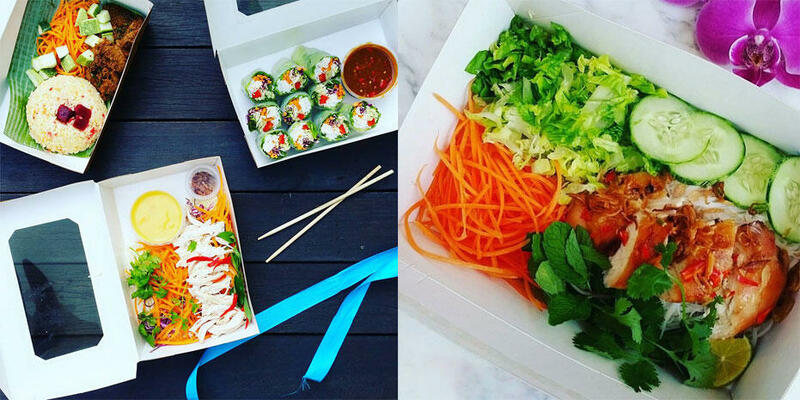 Chopstick Diner runs by the philosophy of “eat your veggies like your mum once told you to.” All their lunchboxes are freshly prepared on the same day. 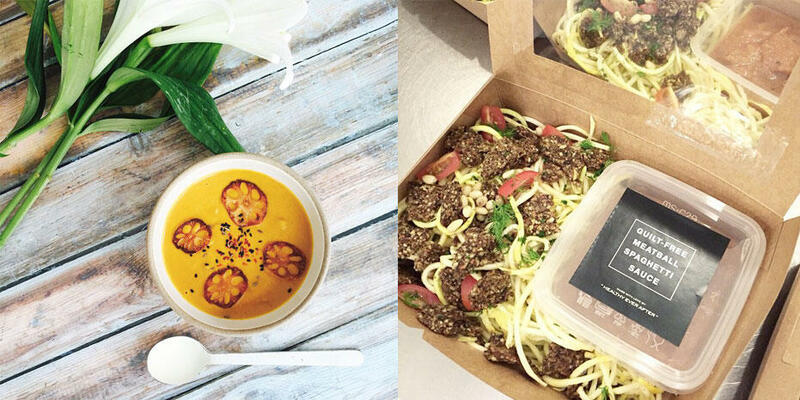 To ensure your lunchbox gets to you, you’ll need to order latest by 10pm before day of delivery. They offer free delivery (to ONE delivery address within their usual delivery area) for orders above RM 50, and a RM 5 surcharge for orders below RM 50. Their usual delivery areas are Petaling Jaya (Postcode 46000-46200 excluding Sunway area), Kuala Lumpur City Centre, Mont Kiara, Sri Hartamas, Mid Valley, Bangsar, Bangsar South, Sentral, Damansara Heights, Taman Desa. Additional delivery charges may apply for deliveries outside these areas. 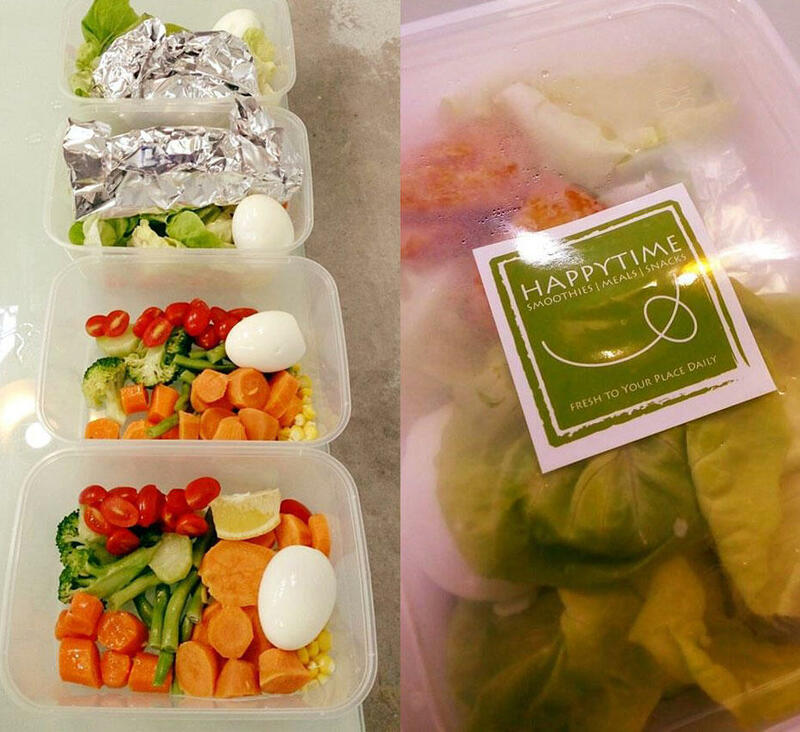 A minimum order of 5x lunchboxes is required for delivery to places like Shah Alam and Klang. Epic Fit Meal was founded by three young lads who intended to attain greater health. After battling the platoons in boot camps to kicking themselves silly during Thai kickboxing, they realized that maybe it’s not only what they do but what they eat that affects their physique. Soon after, they were overwhelmed by a great sense of destiny to help those who are facing similar predicaments. 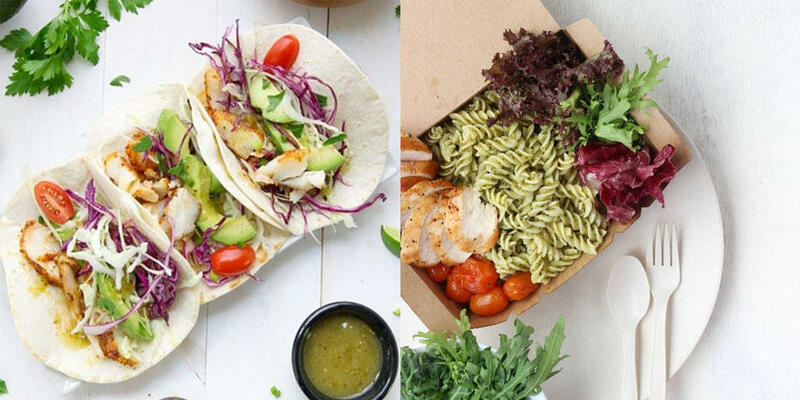 Drawing inspiration from the food and lifestyle of the world’s most livable city, Melbourne, they decided to go on another journey leading to the founding of The Epic Fit Meals Co. Every meal is handmade and individually cooked to order by their chefs; it’s fresh, real food at their optimum best. 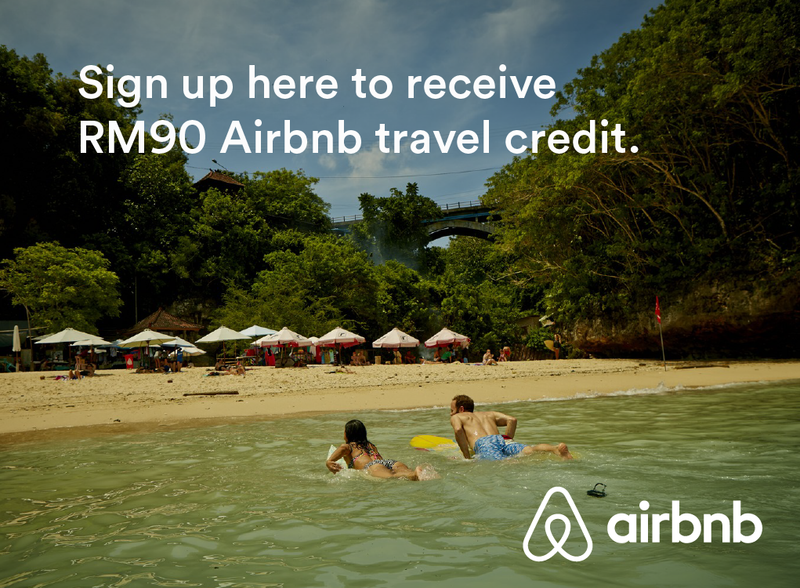 Their delivery coverage includes Damansara Perdana, Mutiara Damansara, Bandar Utama, TTDI, Sunway Damansara, Damansara Kim, Damansara Utama, Sungai Penchala, Desa Park City, Kota Damansara, Tropicana and Bandara Deri Damansara for FREE. At Dietliciouss, their mission is to remove the hassle, frustrations and high cost of eating healthily. Their proteins consist of eggs, salmon, tilapia, chicken breast, salmon, deer meat and lean ground beef. Their carbs are low glycemic, so they won’t spike your blood sugar and result in fat storage. By using carbs like quinoa, brown rice, veggies/whole wheat pasta and sweet potatoes, the absorption process is slowed down, so you feel fuller for longer, and you provide your body with a steady stream of healthy calories. There are no preservatives, additives or genetically-modified what-have-you here. Just fresh, natural ingredients, imagination and epicurean expertise. 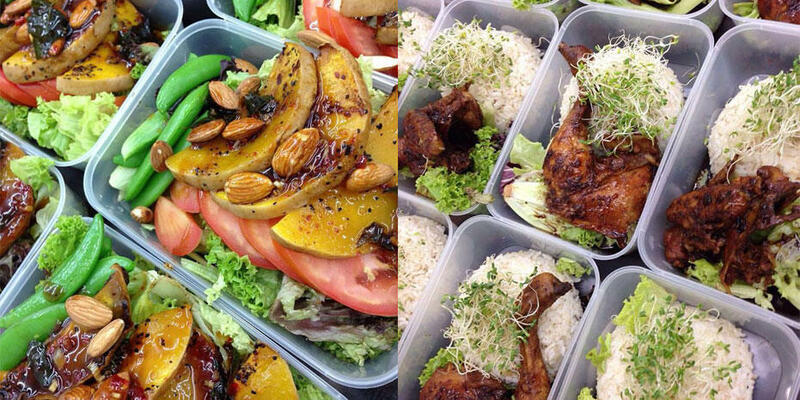 Dietliciouss delivers their meals for free to certain areas in Klang Valley and Kuala Lumpur. Check out their full coverage *here*. HappyTime always believe that a Healthy Lifestyle is the key to staying fit and healthy. 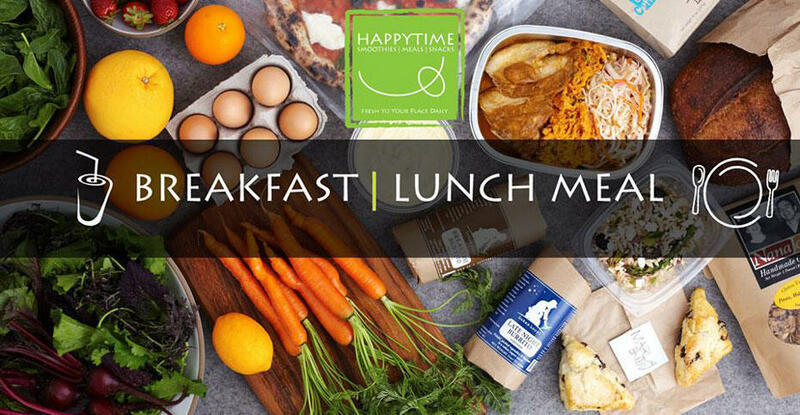 Providing a convenient yet healthy solution with their lunchbox deliveries to our community, they offer an extensive selection of breakfast smoothies and healthy meals with a balance of protein, complex carbs and healthy fat for lunch. You can check out their full menu and order from them *here*. Healthy Ever After prepares healthy detox programs to help your body detox, heal, lose weight and feel amazing about yourself. They advocate a balanced life and a balanced diet. Particularly in Malaysia, food is such a large part of life and indulging in nasi lemaks, curries, durians and desserts are the norm rather than the exception. 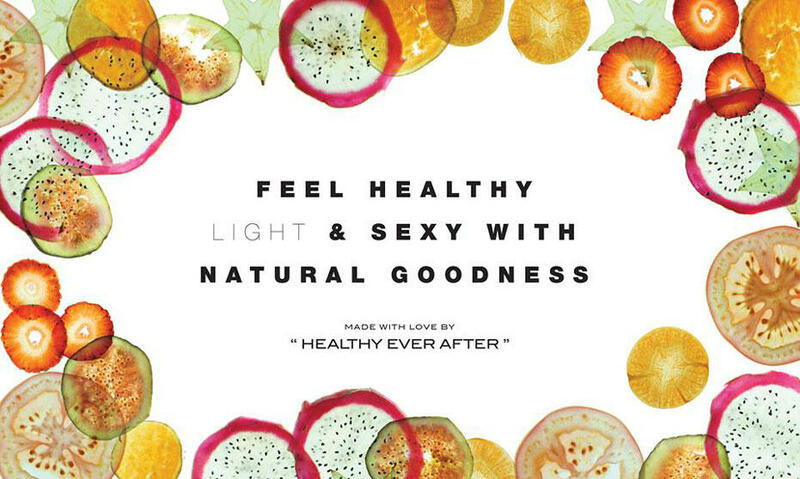 Healthy Ever After now provides your body the means to spring clean its system in the most natural way – by eating yummy healthy super foods! Think of it as a spa treatment for the insides of your body without the scrubs and the wraps. 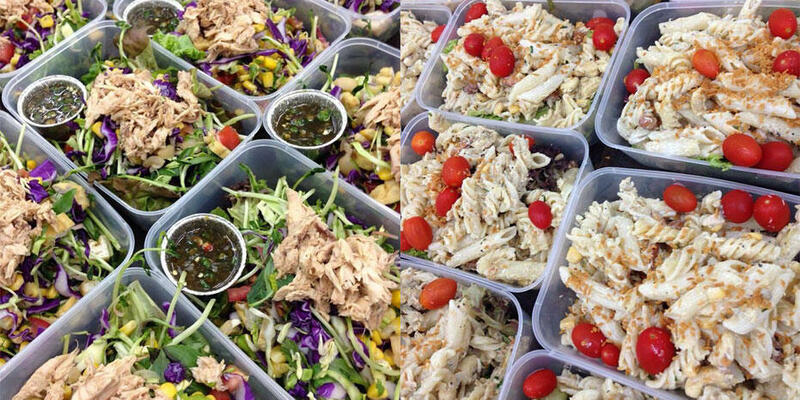 Currently, Healthy Every After delivers to TTDI, SS17, SS2, Bandar Utama, Bangsar, Damansara Heights, Mont Kiara and around KLCC. The #KinkyBlueFairyTeam visited Raisin The Roof for a healthy and wholesome lunch not long after they first opened. Their menu features a wide choice of delicious savories & sweets made only with unprocessed ingredients while catering to individuals’ dietary requirements. All their products meet the modern day expectations of quality and exceptional flavour combinations promising indulgence without guilt. Think gluten and dairy-free chocolate lava cake and Ferrero Rochers! To order online, simply log on to www.GoGet.my or get the GoGet App (on Android and Apple Store). Click on “Food Delivery” then fill in your orders. You can refer to their menu *here*. 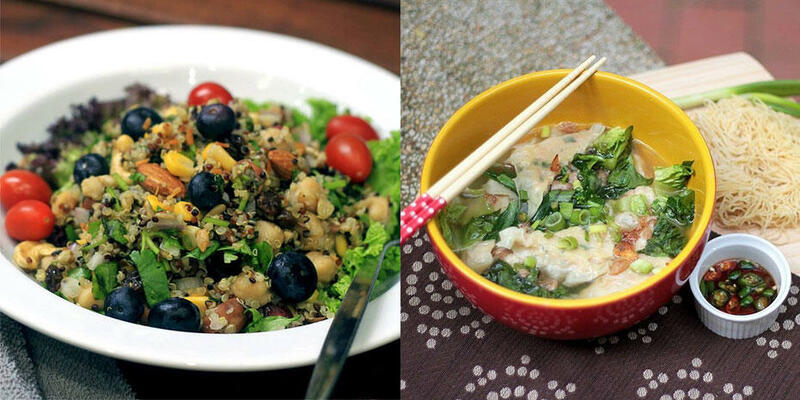 The Healthy Food People is based in Georgetown, Penang. This is for all of you Penangites who are surrounded by rich local gourmet and want a healthy meal for a change. 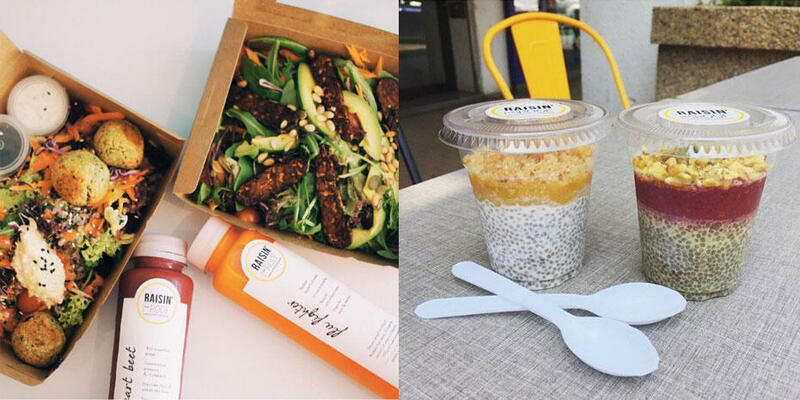 The Healthy Food People create healthy gourmet lunch boxes, breakfast parfaits and to quench your thirst, hand-crafted pressed juices — Delivered right to your doorstep! 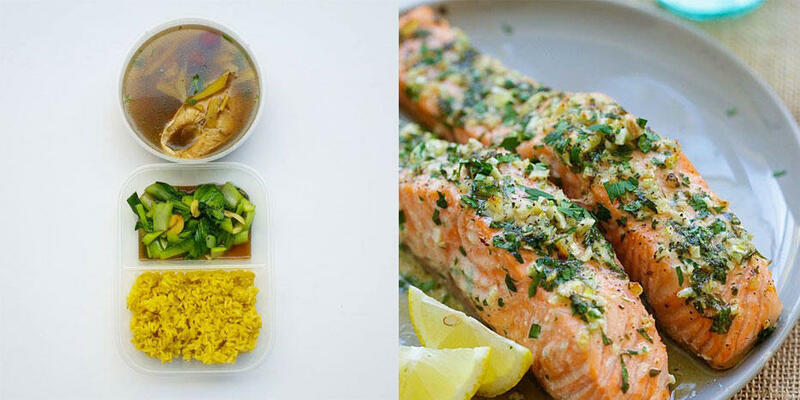 They call themselves the Lean, Mean, Healthy Meals Machine. 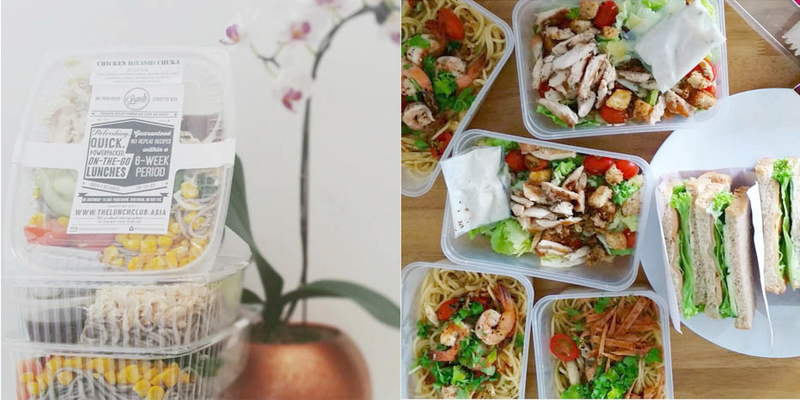 The Lean Canteen is a healthy-meal service that was created by food lovers for food lovers, who are also looking to stay healthy while keeping up with a busy schedule. They work closely with a nutritionist and a qualified chef to ensure each of their generous meals average around only 500 calories. 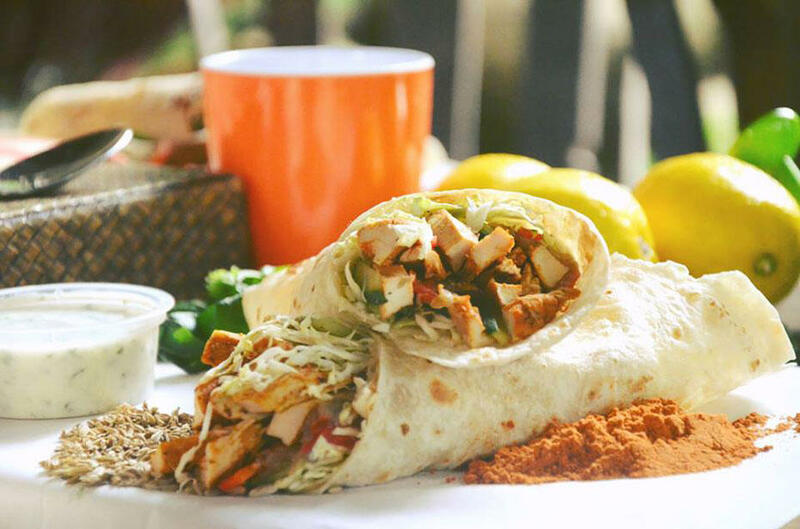 Their flavourful meals are freshly prepared from a centralized kitchen, and are then delivered to their pick-up point/straight to your doorstep! The Rebellious Chickpea is a delivery service, offering healthy and delicious food and snacks to those who want great taste and still be mindful of what they eat. They believe that healthy food doesn’t have to be boring, and that you can live to eat AND eat to live. For orders, you can contact Allison at 017-745-2137 or e-mail them at [email protected]. You can also also order from them on Yumcious. Yumcious is a marketplace for home-cooked halal food. It founded on a simple idea that great food shouldn’t be so hard to come by. The founders have taken this idea and created a community around it; where culinary masterminds among them make dishes they’re passionate about, then then get their courier friends to deliver the food straight to them. And they all get to eat, review, curate, and recommend those amazing meals on Yumcious. They currently deliver only in Kuala Lumpur and CBD with no delivery charges! 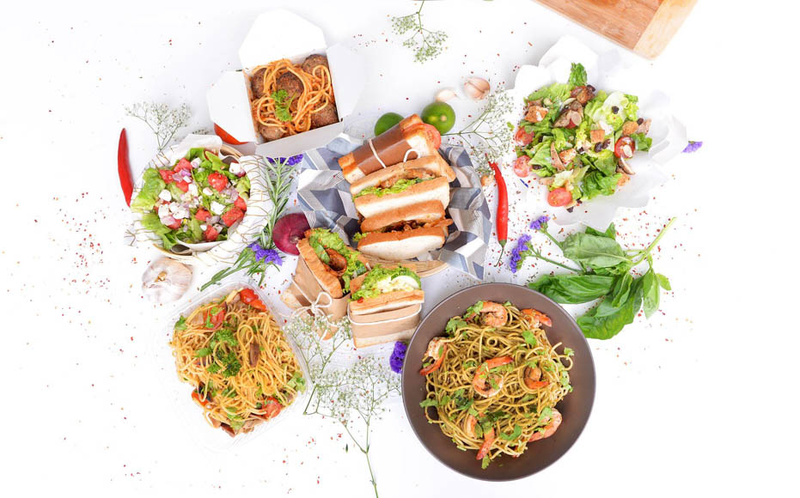 The Lunch Club brings KL’s urbanites and independent foodpreneurs such as TwobySeven, The Rebellious Chickpea, Simply Sandwiches, Cooking Men Co., Food Matters, Sekor & Co., Little Fat Duck, and Thyme Out. They have a minimum order of 6 pax, aimed to cater to SMEs, corporate groups and private events. The #KinkyBlueFairyTeam were invited to an intimate buka puasa session hosted by them awhile back and had a blast! They feature everything from sandwiches to a full Indonesian spread and you even request for a customised order! Any of these deliver to Kota Kemuning area?